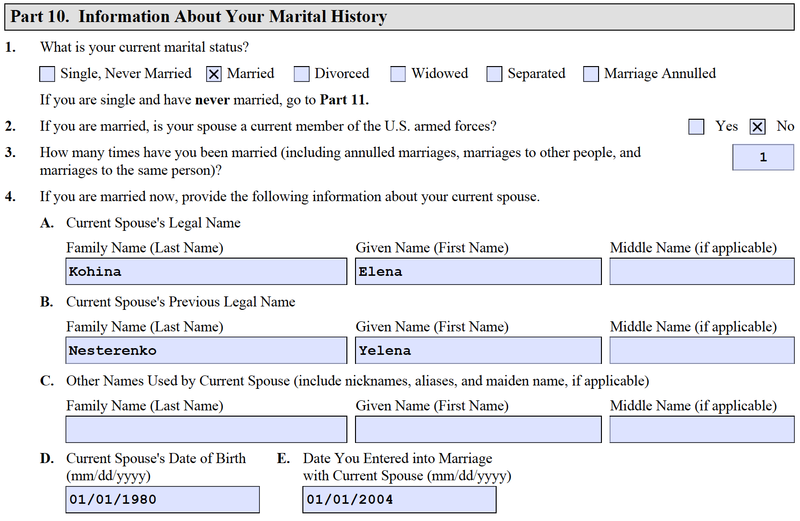 Marital History: This information could be used by USCIS as the basis for an investigation into the good faith and legal validity of any marriage used to obtain permanent residence status in the first place, which applicants with new marriages after obtaining permanent residence should be ready to establish. This information also confirms whether the alien is eligible for early naturalization based on marriage to a U.S. citizen. 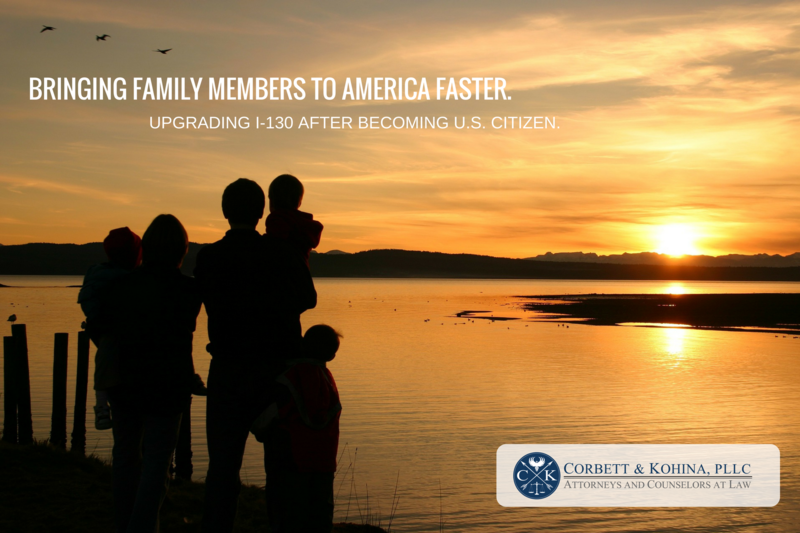 If you are applying under the three-year rule as the spouse of a U.S. citizen, you must be currently married to and living with your U.S. citizen spouse. 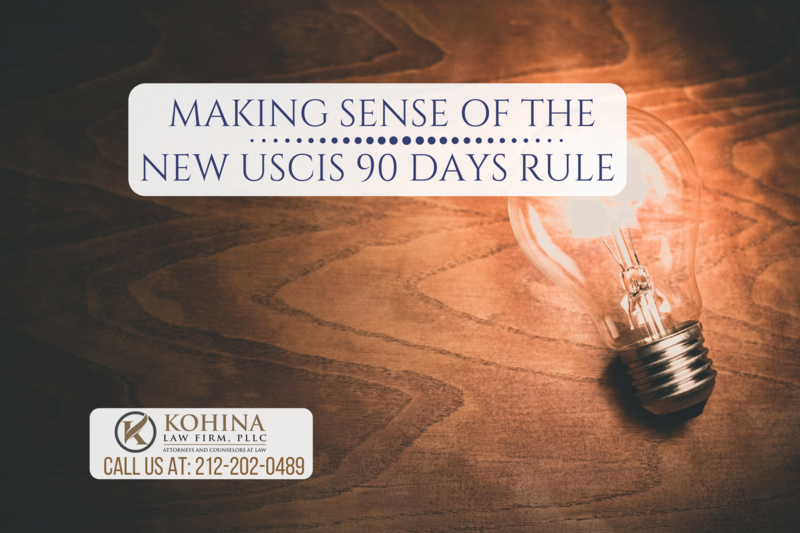 If you obtained your permanent residence based on a spousal petition, and you divorced or separated from your spouse shortly after you obtained permanent residence, USCIS may question whether yours was a bona fide (real) marriage, or if it was simply to obtain immigration benefits. 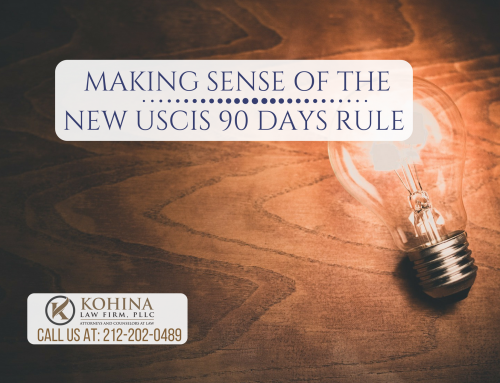 The USCIS officer may also be interested in your marital status to make sure you have been honest in applying for public benefits and/or completing tax returns. Part 10 Questions 1,2,3 are self-explanatory. If you have never been married, this section is not applicable to you. Continue to Part 11. If you have been married but are not currently married, this part is also not applicable to you, so go to Part 10, Question 9. If you are now married, provide information about your current spouse. Include this information even if you are separated but not divorced, or if your spouse lives outside of the United States. Part 10 Questions 5 and 6 are self-explanatory. 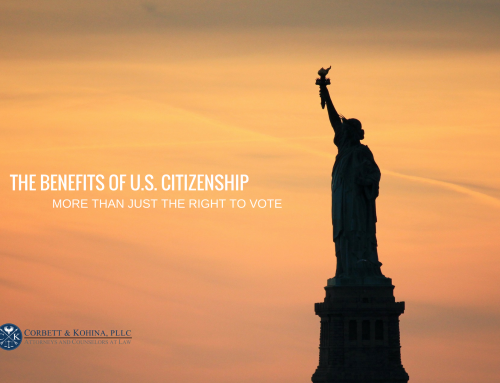 Part 10 Question 7: If your spouse is a U.S. citizen, this section is not applicable to you. If your spouse is not a U.S. citizen, complete this section. In Question B, if your spouse does not have an “A” number, write ‘N/A’. 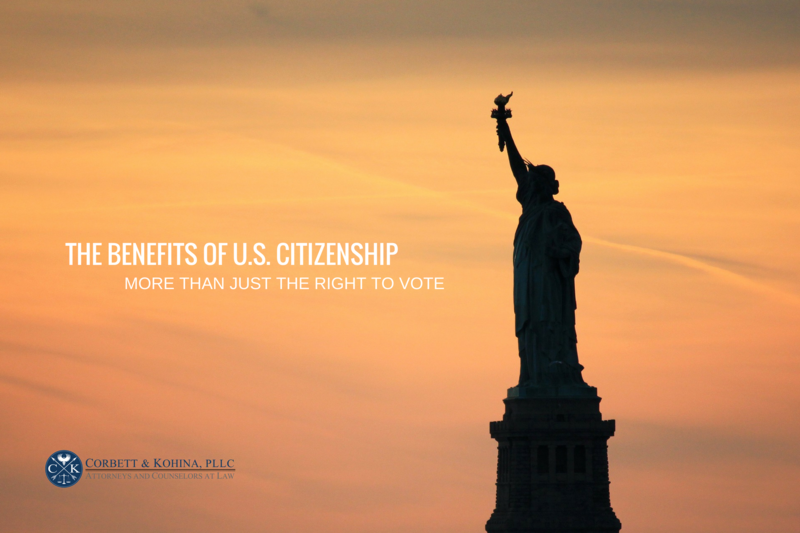 In Question C, if your spouse is a permanent resident, check the box that says “Lawful Permanent Resident.” If your spouse is not a lawful permanent resident, check the box that says “Other” and list his/her status. 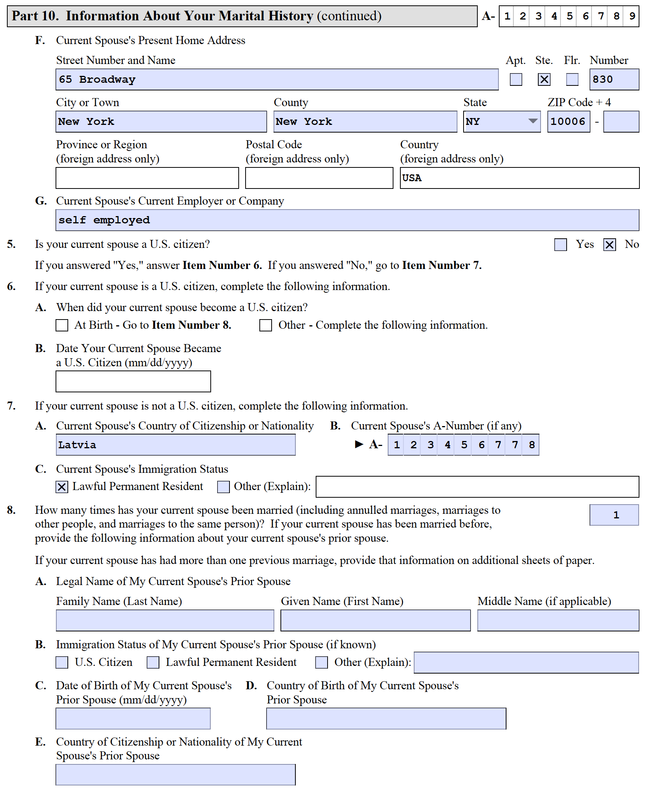 If your spouse does not have an immigration status in the United States, write ‘N/A’ after ‘Other’. Write “Lives Abroad” instead of listing his/her status if your spouse does not live in the United States. 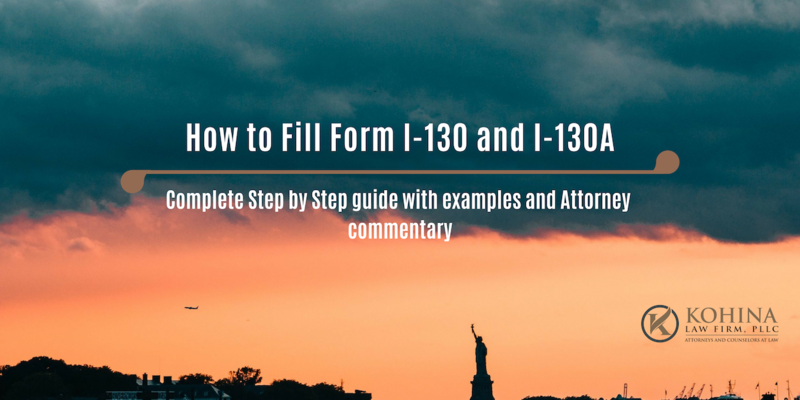 Part 10 Question 8: Information on all prior marriages of the applicant’s current spouse is required. If your current spouse was never previously married, then write the number “1” and continue to Part 10, Question 9. If your current spouse was previously married, write the number of times and give information about his/her prior spouses. 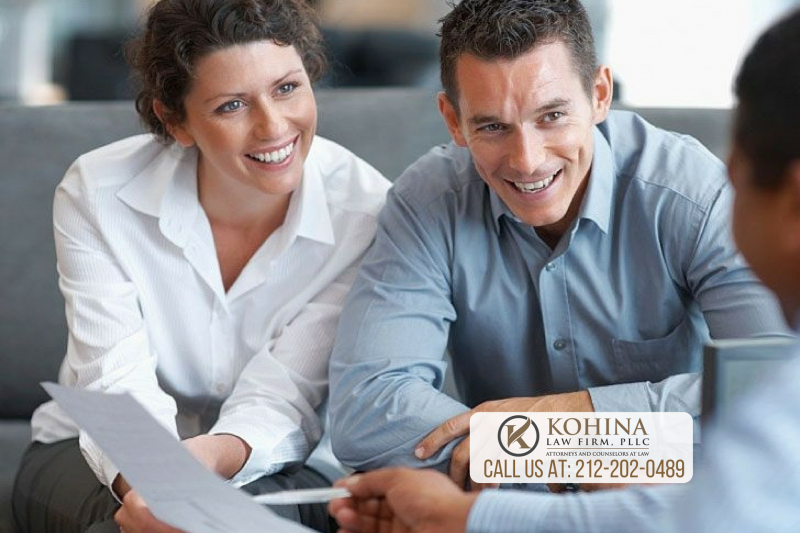 Make your best attempt to contact his/her prior spouse(s), to obtain the necessary information. If the prior spouse(s) cannot be contacted, include as much information as you have.  This is especially important if your current spouse obtained immigration benefits from his/her prior spouse. For Question 8-B, if the prior spouse was not a U.S. citizen or a lawful permanent resident during your spouse’s marriage to that individual, check “Other” and list his/her status at that time. If the prior spouse did not live in the United States, write “Lived Abroad” instead of listing his/her status here. For Question 8-H, if the marriage was terminated other than with a listed reason, check “other” and explain in a separate statement. For more than one prior marriage of your spouse, use a separate sheet of paper to provide answers to questions A through H for each marriage and provide all the information requested. Make sure to write the date and sign the sheet. If your spouse was married to the individual more than one time, write about each marriage separately. Part 10 question 9: Information on all prior spouses of the applicant is required. If you were never married before, this section is not applicable to you. Continue to part 11. If you were married before or are a widow/widower, provide information about your former spouse(s). 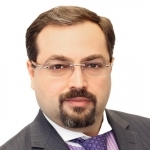 Make your best attempt to contact your prior spouse(s) to obtain this information. If your prior spouse(s) cannot be contacted, include as much information as you have. 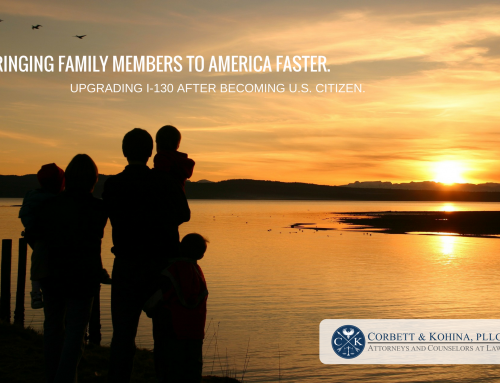 For Question 9-B, if your prior spouse was not a U.S. citizen or a lawful permanent resident during your marriage, check “Other” and list his/her status. If your prior spouse did not have an Immigration Status when your marriage ended, check “other” and write “N/A” in the space provided. If the prior spouse did not live in the United States, write “Lived Abroad” instead of listing his/her status here. For Question 9-H, if the marriage was terminated other than with a listed reason, check “other” and explain in a separate statement. 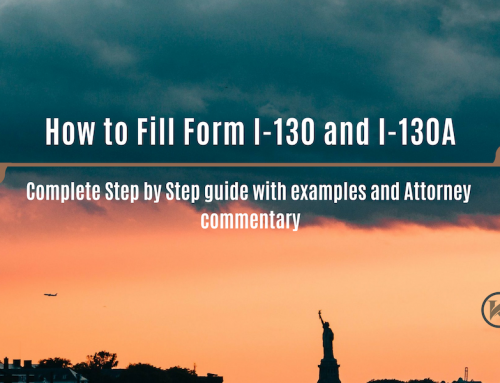 For more than one prior marriage, use a separate sheet of paper to provide answers to questions 9 A through H for each and provide all the information requested. Make sure to write the date and sign the sheet. If you were married to the same spouse more than once, write about each marriage separately.